At Bright Alpine Builders we believe that ecologically sustainable building techniques should be standard. Always striving to build better, we proudly integrate intelligent newly-developed materials coupled with modern building techniques to produce outstanding performance in custom home design. 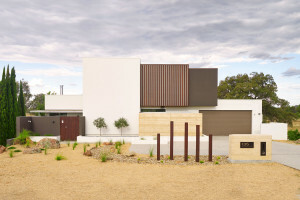 At Bright Alpine Builders we believe that ecologically sustainable building techniques should be standard. Always striving to build better, we proudly integrate intelligent newly-developed materials coupled with modern building techniques to produce outstanding performance in custom home design. Here are just a sample of some of our preferred building products and techniques. 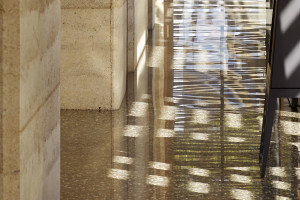 Geo-thermal mass, climate control is achieved via underground water or other thermal mass such as dam water, being pumped and cycled through a hydronic floor system. The constant temperature of the chosen thermal mass is used as a pre-heater or pre-cooler to installed air-conditioning. In most cases a series of hydronic floor pipes coupled with a geo-thermal mass can enable a year-round 15 degrees C standard in climate conditioning. From here in winter or summer, air-conditioning operating consumption is reduced as only a few degrees +/- is require to maintain a comfortable indoor temperature. 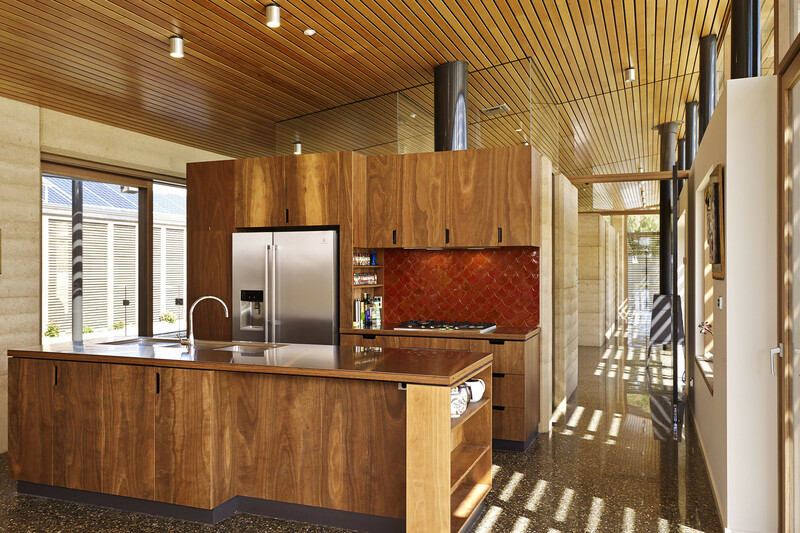 Rammed-earth walls: Offering outstanding thermal and acoustic properties, rammed-earth constructed walls are beautiful high performers. Typically walls are 150mm thick with 65mm insulation incorporated into the wall’s centre. Clients may choose from a wide range of unique earth colours and to further enhance the beauty of their custom home. Koolwall Exterior Wall Cladding System: Koolwall is a unique fiberglass-coated polystyrene product used as exterior wall cladding. Koolwall is typically finished with modern cement renders that feature both strength, easy adhesion and great elasticity. While the finished product does have elasticity, it is very stable. 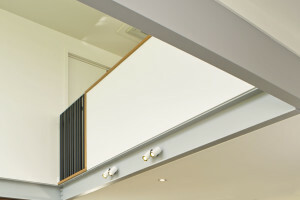 Koolwall is cost efficient, highly thermally and acoustically efficient and satisfies requirements as set out by the Building Code of Australia. 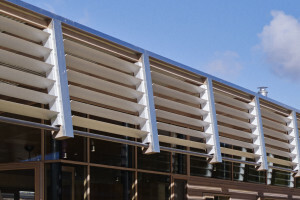 Aluminum Louvers are a current and popular design element, offering both architectural style and smart-thinking, digitally controlled sun-tracking functionality. Bright Alpine Builders has a strong history of constructing many medium-scale alpine and commercial buildings; many of which benefit from cost efficient, fast construction steel frame work. The knowledge of how to creatively use steel to both aid visual appearance and provide cost efficiencies presents clients with a wider choice in construction and architectural design options.